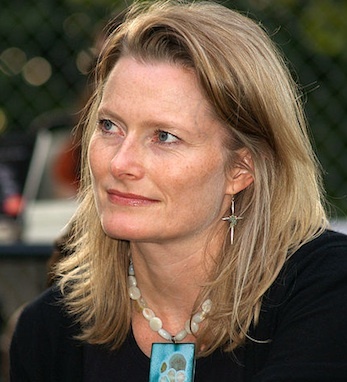 On March 10, Jennifer Egan won the National Book Critics Circle Award for fiction for her 2010 novel, A Visit from the Goon Squad – a stunningly eloquent and experimental work in which Egan explores the passage of time and its effects on interlinked lives over half a century. Prior to this, Egan was best known for her 2006 novel The Keep, but her works also include a short story collection and two previous novels, one of which, Look At Me (2001), was a finalist for the National Book Award. Born in Chicago and raised in San Francisco, Egan attended the University of Pennsylvania. She has received a National Endowment for the Arts fellowship, a Guggenheim Fellowship, and was a Cullman Fellow at the New York Public Library’s Dorothy and Lewis B. Cullman Center for Scholars and Writers. In addition to her work as a fiction writer, Egan also writes frequently for The New York Times Magazine and other publications. Egan lives in Brooklyn with her husband and sons. Her father is Irish American from Chicago.